Do you work with a Barudan, Brother, Happy or RiCOMA embroidery machine? 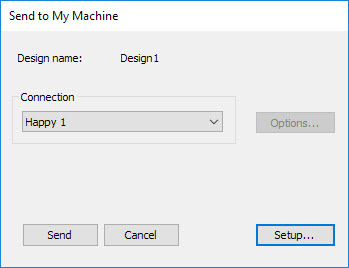 Connection Manager allows for smoother workflows when sending designs to your machine. What machines will this work for? 1. Set up a machine connection. Each machine has a unique name and ‘Quick Access’ button. 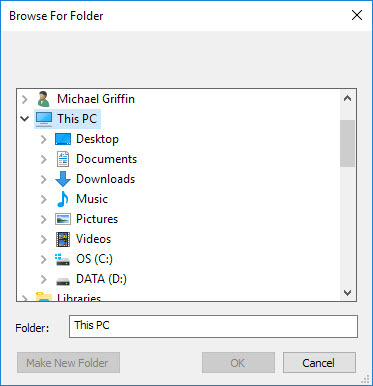 Each machine can have a unique folder to which designs can be sent so they can be accessed from the machine control panel or third-party machine connection software. 3. Click the Quick Access button for the specific machine. 4. The design is sent to the specified folder. 5. Using the machine controller or third-party connection software, access the design from the network or PC folder. 6. Load or send the design. 7. Stitch the design on the machine. 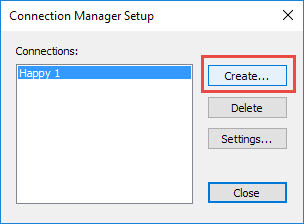 Alternatively, select Setup > Connection Manager Setup. 2. Click Yes to start setting up your connections. The Connection Settings dialog opens. 4. Enter a unique machine name. This name identifies the Quick Access button. 5. Select the file type required by the machine. 7. Click OK when complete. 8. Click Send to send the currently open design to the specified machine folder. 1. Click the Connection Manager icon on the Standard toolbar. If a connection already exists, the Send to Connection Manager dialog opens. The Connection Manager Setup dialog opens. 4. Repeat steps outlined above to set up another machine connection. As more machines are created, more quick access buttons are added with unique colors for each. 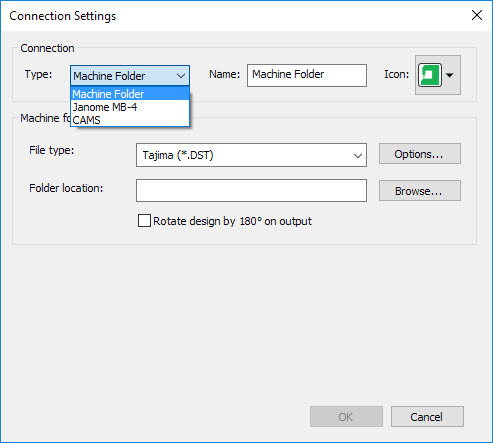 A single click on a machine quick access button will send the current design in the right file format to the predefined location for the selected machine.